The assignment gives a brief idea of the Taxation Laws in Australia especially regarding the Income Tax. The rules and provisions related to the Income Tax have been mentioned in all the case laws given in the assignment. The Section wise study of different Acts related to the Income Tax has been examined wherever required in the given case laws. The applicability of the Income Tax could also be understood from the detailed case laws which are solved with clarity. The Income Tax Assessment is an important aspect for any country to enhance the number of tax payers. Moreover, focus is also given upon the deductions while having making elaborations of the case laws. In case of additional wages being paid to any individual it would be assessable under Section 6-5(2) of The Income Tax Assessment Act, 1997. The additional wages are also assessable for the taxation purpose. Additional wages are the same as the wages but it is given for any particular occasion as a bonus to the employee. Sec 51AG of The Income Tax Assessment Act, 1936 deals with the fringe benefits. If the out of pocket expenses are reimbursed by the employer, the expenses would be regarded as the fringe benefits which is of $1200. The expenses incurred by the employees are reimbursed back to the employee after the checking of the receipts. The organizations provide travelling allowance to the employees of the organization for travelling made by the employees for official purpose. As per the Section 8(1), the cost of travelling paid by the employee to reach to his place of work would be deducted from the assessable income of the individual which will help to reduce the amount of tax to be paid by the assesse. The provisions of the Taxation Rulings will also be followed by the assesse. The amount of the Health Insurance Premium which is borne by the employer will be included while calculating the amount of tax by the assesse. The amount is paid for the employee by the employer. The provisions related to it are mentioned under Section 136(1) of the Fringe Benefits Tax Assessment Act, 1986. In the given case, Section 48 and Section 22A (2) will also be assessed while calculating the amount of tax. The amount which the insurance policy gives to the policyholder on maturity or claim is tax free. The amount so received by Chris from his health insurance policy for various operations will not be taxable under the Income Tax. It cannot be considered as the protection for the loss of income as per the Taxation Laws for the Financial Year 2016-17 of Chris. Chris received $70,000 in lump sum from the trauma insurance policy of his right foot. It will also not be taxable as it will not be considered as the protection from the loss of income of Chris. The amount so received under the trauma insurance policy will not be assessed as per the Income Tax in Australia. Also, the amount of claim by the insurance company is not taxable in the hands of the policyholder and is considered tax free. Chris, a part time copywriter received a cheque of $5400 from the company for long term service leave accrued from many years. The total amount of the cheque which is $5400 will be taxable as per the Income Tax while assessing the income of Chris. The net amount is to be considered while making the assessment as per the Income Tax Assessment for the Financial Year 2016-17. Thus, the taxable income in the given case would be $5400. Warren received $16,000 as the demurrage from the insurance company. Apart from this, he also received the money for the disposal of truck and reimbursement of truck repairs. As per the Section 6-5(1), the amount of $16,000 will be taxable which he received as the compensation for the loss of his income. The amount received in relation to the truck will not affect the taxable income of Warren for the Financial Year 2016-17. Thus, the amount of $14,000 for reimbursement of deductible truck repairs and $75,000 for the proceeds of disposal of truck will not affect the taxability aspect of Warren. Sandy operates a general food store which was robbed twice and he received the insurance amount as per the conditions of the policy. The entire amount received by Sandy will be taxable apart from the refund related to the medical expenses. The amount so received will be considered as the compensation for the loss. Thus, the amount which is taxable as per Section 6-5(1) will be $32,000 for the Financial Year 2016-17. Moreover, the amount of $2,000 which is for the reimbursement of the medical expenses will not affect the taxability aspect of the assessment of Sandy. Rob is a lawyer and he drafted some changes in a Will of one of his clients. Rob received cufflinks of $250 instead of charging fees for one of his clients as a lawyer. While calculating the Income Tax assessment sheet, as per the Section 21A of the Taxation laws, non – cash benefits will also be included. Thus, the assessable income will include $250 in the Financial Year 2016-17. Len who is a carpet dealer receives subsidies from the supplier for selling over 2 kilometers of the carpet. While calculating the assessable income, the amount of $36,000 will be taken into consideration because it is a subsidy which is received in cash for the purpose of the business. Thus, $36,000 will be considered while assessing the income for the Financial Year 2016-17. This concludes the Assignment in relation to the Taxation aspect in the Australia. The provisions of the Income Tax and related Taxation laws have been examined. All the cases have been explained subject to their needs as per the taxation laws. The provisions discussed along with the specified Sections bring flexibility in understanding the topics with ease. 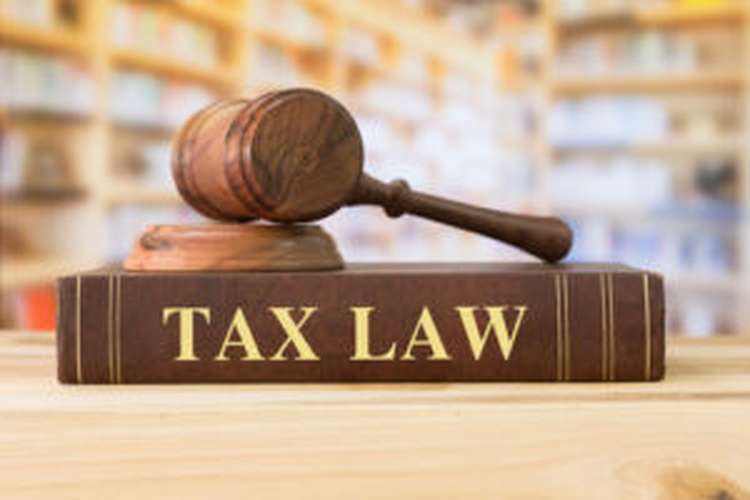 The given variety of case laws helps to understand the different aspects of Income Tax Assessment by practical as well as theoretical means with the help of legislative provisions applicable in the Assessment. Moreover, the provisions will enhance specific knowledge in the field of Income Tax Assessment. Butler, D. A., & Rodrick, S. (2015). Australian media law. Thomson Reuters (Professional) Australia Limited. Lanis, R., & Richardson, G. (2012). Corporate social responsibility and tax aggressiveness: a test of legitimacy theory. Accounting, Auditing & Accountability Journal, 26(1), 75-100. Hopkins, B. R. (2011). The law of tax-exempt organizations (Vol. 5). John Wiley & Sons. Cingano, F. (2014). Trends in income inequality and its impact on economic growth. Nielson, L., & Harris, B. (2010). Chronology of superannuation and retirement income in Australia. Department of Parliamentary Services. Aaron, H., & Gale, W. G. (Eds.). (2010). Economic effects of fundamental tax reform. Brookings Institution Press. Cane, P., & Atiyah, P. S. (2013). Atiyah's accidents, compensation and the law. Cambridge University Press. Woellner, R., Barkoczy, S., Murphy, S., Evans, C., & Pinto, D. (2011). Australian Taxation Law Select: legislation and commentary. CCH Australia.